As soon as you walk into this home you will fall in love! 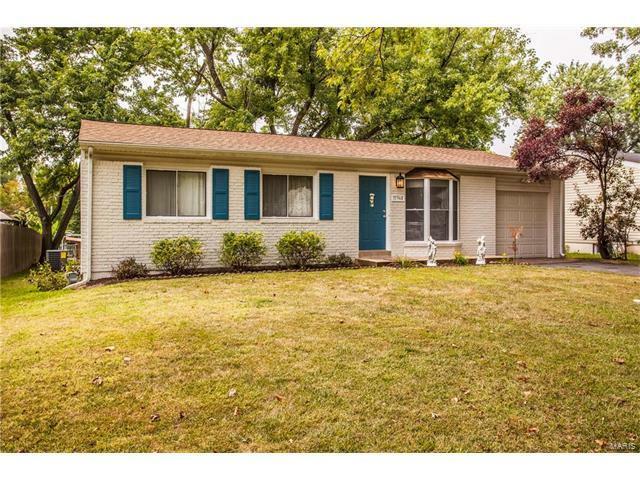 The owner has used today's trends to make this house appealing for the client who is looking for UPDATED and MOVE-IN READY. The VAULTED CEILINGS, bay window and WOOD FLOORS in the great room greet you when you walk in. THE KITCHEN, with its white cabinets, GRANITE COUNTERTOPS, STAINLESS STEEL APPLIANCES and new tile backsplash make you want to entertain. THE MASTER ENSUITE has plenty of closet space that is adjacent to a beautiful NEW FULL BATH. THE FINISHED LOWER LEVEL has stained concrete flooring, dry bar, gas fireplace, ample storage, laundry area and a sleeping/office room. the bathrooms have adult height vanities for your convenience and the extra deep soaking tub/shower in the master will make luxuriating in the bathroom something to look forward to.. THE BACKYARD is partially fenced with a deck to overlook the spacious yard which has plenty of room for planting the garden you always wanted. Dorsett to north on Millwell which becomes Doddridge, to left/west on Brookmont to left on Foxwood, to right on Breezemont to left on Foxwood, to right on Breezemont to left on Cherry Point, to right on street.